The NZ Mountain Film Festival received 182 film submissions this year, a 20 per cent increase in entries. Festival director Mark Sedon said the event’s growing reputation and accessible filmmaking seemed responsible for the surge, but had not diluted the quality. “The global profile of our event is increasing, as well as the rise in the number of films being made due to accessibility and affordability of quality equipment. At the heart of it this means we will continue to have high calibre content for the festival with access to world-class speakers looking to promote their films,” he said. Wanaka ultra distance runner Mal Law, Dunedin writer Laurence Fearnley and Auckland filmmaker Simon Lucas have been confirmed as guest speakers at the dual film and book festivals, joining Kiwi climber Chris Jensen Burke and UK Adventurer Leo Houlding on the programme. Sedon said festival audiences connected most strongly with content that had a cause beyond “adventure for adventure’s sake”. Law and Lucas represented “this contingent of thoughtful, creative and courageous filmmakers able to balance adventure and art on the big screen”. Lucas won the festival’s best New Zealand made film award last year for Paddle to the North. 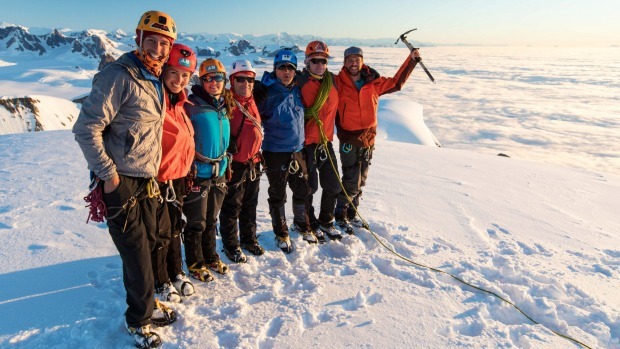 In February, he was a member of an Antarctic Heritage Trust Inspiring Explorers team that attempted a guided ascent of Mount Scott (880m) in Antarctica. Lucas would offer insights into the mission and why the expedition members seek adventure. Law began his Chasing the Dragon adventure run this week. He and James Harcombe will attempt a 1700km run around the border of Wales and England in 26 days, as a fundraiser for mental health charities. Two years ago, Law’s High Five 0 Challenge (50 mountain marathons in 50 days) raised $510,000 for the Mental Health Foundation. Law’s adventures have also supported the the Leukemia & Blood Cancer NZ. Laurence Fearnley is an award-winning novelist and non-fiction writer. She will deliver a half-day writing workshop, open to aspiring writers of all genres. DATES: Wanaka: Films June 30 – July 4; Books July 7-9; Cromwell: Films July 5; Queenstown Films and Books July 6-8.